««« It’s Summer Time…. Let’s Eat! Portlanders have many stereotypical quirks. Supposedly, we’ll put a bird on anything that stands still long enough to get DIY’d. We all commute to work by bike (when our unicycles are in the shop). We will walk half a mile to find a recycling bin for the bottle of artisan cold-brew coffee we just chugged, and we’ll walk even further to find a microbrew on draft. This is just nonsense. You shouldn’t need to walk more than a quarter mile to find draft microbrew in Portland. Here’s the real secret about Portlanders: we don’t like standing around outside (unless it’s for brunch). 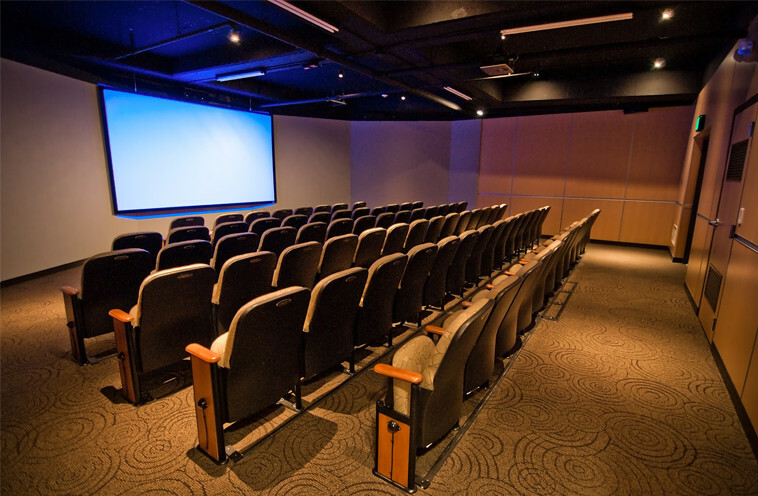 It’s in this spirit that we are pleased to announce the new departure location for the majority of our walking tours: the Theater on the Square inside Pioneer Courthouse Square. Whether you’re arriving for a Best of Portland, an Epicurean Excursion, a Flavor Street, or a Chocolate Decadence, the Theater on the Square is the place where you can take a seat and relax before your walking tour begins. If you’re taking an Underground Portland or Beyond Bizarre tour, you’ll still meet your guide outside 202 NW Davis, which will familiarize you with perhaps the most universally Portland trait: discussing the weather. This entry was posted on Tuesday, November 11th, 2014 at 1:17 pm	and is filed under Best of Portland, Chocolate Decadence, Epicurean Excursion, Flavor Street.